Gordon “Bottler” Brown, Scottish Prime Minister, non-elect, is at it again. 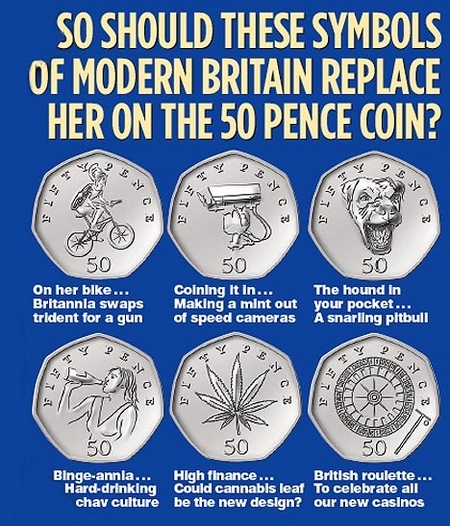 Having tried to persuade the electorate that he is not Scottish has demonstrated his contempt for British traditions by deciding to remove Britannia from British coins. The Daily Mail suggested some symbols that might more accurately reflect British life after a decade under the Blair Brown Regime. The British people face a monumental change as a result of the European Constitution which was signed by Foreign Secretary Milliband and (privately in the absence of cameras) by “Bottler” Brown, Scottish Prime Minister, non-elect. 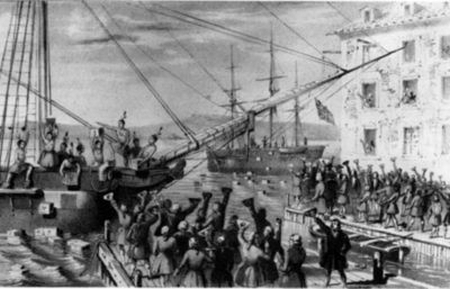 The whole process of sneaking the European Constitution through, after it was firmly rejected by the French and Dutch citizens, and should therefore have been dropped for at least a generation, is deeply unpleasant and undemocratic. The situation is even worse because, once the Constitution has been ratified by all Parliaments, the covert protocols will be announced and the European Union of Soviet Socialist Republics will have been created. The situation has come about because a political elite have had to admit that they are incapable of selling their vision for the EUSSR to the people of Europe. Their lack of courage and honesty is deeply concerning and has not been seen in Europe since the 1930s. Their lack of trust in, and respect for, their electorates should be fully reciprocated by those electorates. The duty of democratic protection has fallen to the minor political parties in Europe, who are demanding what the citizens of Europe have been demanding – A right to vote on the creation of a new federal super state. 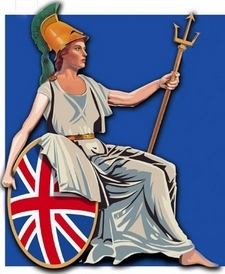 The UK Independence Party has just issued a call for funds to support a case brought before the British courts on behalf of all Britons, whether they favour the creation of the new super state or wish to prevent it. “As most of you know by now, Stuart Bower, a UK Independence Party member has issued a summons against Prime Minister Gordon Brown for breaking the implied contract between the Labour Party and the electorate about a referendum on the Lisbon Treaty. The case will be heard at 10.30, Thursday, 7th February at Brighton County Court. Funds, unfortunately, have become the bedrock of the British Judicial system. We are now requesting any donations that you feel you may be able to make in support of his case. Also, unfortunately again, time is of the essence. All funds will be ring-fenced into a separate account controlled by a UK Independence Party solicitor who is volunteering his time. When it is over, any excess monies will go to the UK Independence Party’s central funds. THE European Sea Port Organisation has officially welcomed the European Commission’s “firm intention to develop an integrated maritime policy for the European Union”. It says that European seaports stand to gain from a better coordination of policy objectives at EU level as it will enhance legal certainty for both daily operations and development projects. ESPO also commends the EC’s Maritime Task Force for the “constructive and pleasant spirit” with which it organised the consultation on the Maritime Policy Green Paper that preceded the publication of the EC’s “Blue Book”. * recommendations as to how the use of planning instruments can be improved to guarantee more legal certainty for port operations and port development projects; * the implementation of the European Maritime Transport Space without Barriers; * the implementation of the Commission’s new ports policy, including in particular the guidelines on the application of Community environment legislation to port development; * regulatory bottlenecks related to EU environmental legislation; * ongoing legislative proposals related to management of water bodies and sediments; * survey on climate change initiatives taken by port authorities in Europe; * proposal for a major EU-sponsored study on the socio-economic impact of ports; * initiative to encourage ports to enhance their public image and support for open port days. UK-based shipping accountant Moore Stephens has warned that new European Commission requirements will lead to unwelcome changes to the UK tonnage tax regime from April 2008. Peter Hain has resigned now that it has been announced that he is under investigation by the police. The Police investigation is at the request of the Electoral Commission, following their own investigation of Hain’s funding scandal. “Bottler” Brown will undoubtedly miss Hain’s unique contribution of incompetence which he has already acknowledged. Deputy Leader Harman is now expected to be investigated for her own acceptance of proxy funding. In Scotland Wendy Alexander (Labour Leader in Scotland) is expected to be investigated for illegal funds. Additional members of the Blair Brown regime are expected to be investigated by the police, both politicians and Party staffers, as the scandal continues to expand and develop. Some commentators believe that more than forty Blair Brown regime members will eventually be prosecuted for electoral crimes and that further Cabinet Minister resignations will follow. There are now suggestions that Blair may eventually be prosecuted for War Crimes, following condemnation of his performance in the ‘peace negotiating’ role created for him after he resigned as British Prime Minister. At the time of his appointment to this specially created role, some commentators point out that its primary objective might have been to protect him from war crimes indictments. UK Independence Party leader Nigel Farage is due to appear on the Andrew Marr Show on BBC1 at 9am on Sunday morning (January 27th). The UK Independence Party had some useful coverage last weekend as parliament begins its debate over the EU Constitution. First was an appearance by Lord Pearson on the BBC1 Daily Politics show with Andrew Neil on Friday. 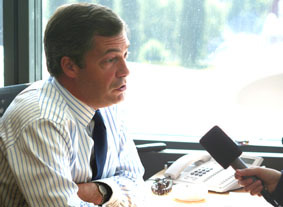 On Saturday Nigel Farage was on the LBC politics show, reporting a debate at the Fabian Society, then he appeared on the BBC 24 news programme. On Sunday he was a guest on GMTV, afterwards travelling across London to debate the treaty with Adam Boulton on SKY TV. It was an early start for Nigel on Monday when he had to face a hostile interview with James Naughtie on the Radio 4 Today programme. He was later invited to answer calls on the treaty for half an hour on the Talkback Radio John Gaunt show, but this stretched to an hour and three quarters because of the volume of phone calls – mainly supportive. Then there was a quick sprint down the corridors of Millbank Studios to be interviewed by BBC News 24. Add to this comments on various BBC websites and debate with Europhile Labour MP Mark Hendrick on Sky News, repeated mentions on radio bulletins on LBC, Talksport and the BBC and we can be pleased with a successful start to the campaign. The leader of the Conservative Group on the Stevenage Borough Council, Councillor Marion Mason, has defected to the UK Independence Party. She has been a Conservative for more than 25 years and has served as a councillor for the last eight years . Ms Mason is in her third term and is not due to stand for re-election until 2010. She will serve the rest of her term as a UKIP councillor. Her decision to join UKIP was taken after a great deal of soul-searching because of her long-term membership of the Conservative Party, during which she was very active and committed. By profession, Ms Mason is a nurse who has worked for many years in both the NHS and the private sector. She is currently matron and partner of a nursing home. The British Parliament has begun what is expected to be a 20 day process to debate the new European Constitution which has already been signed by Foreign Secretary Milliband and (off camera) by “Bottler” Brown. Having snuck in out of sight of the press from the signing, “Bottler” has followed up by being conveniently out of the country for the start of the debate. He is hoping to reprise his invisibility during the first ten years of the Blair Brown regime when he claims to have had no part in Government whilst claiming credit for any economic good news. He is helped greatly by his own MPs who fear being thrown out by the electorate and are rather more focused on voting themselves another whopping great pay rise than worrying about the future of Britain. For those who may find this confusing, fear of losing a seat and desire to increase pay is not a conflict. The longer they can avoid an election, the longer they draw full pay at a new and much higher rate, but the gravy train goes on after the electorate disposes of them. Every MP thrown out at the next election will take away a golden pension that will be increase in line with the increases in pay. “Gorbals Mick”, the highly disrespected and partisan Speaker of the House has already defused much of the rebellion by a small and honorable group of Labour MPs, by refusing the addition of an amendment calling for a referendum as promised by Blair at the last General Election. Hopes have to be pinned on the House of Lords, which continues to demonstrate its value as an honorable and diligent revising chamber. The Lords could delay the legislation necessary to ratify the European Constitution and the real debate is likely to be amongst the unelected Members of the Lords. The NHS National Programme for IT (NPfIT) is the largest data programme ever undertaken anywhere in the world and ran into major problems from the start. The objective was to create a single system that would hold the medical records of every British citizen and make them available to a very large number of Government and non-Government organizations as part of the Blair Brown regime Great Index project that includes the National Identity Card Scheme to produce internal and external passports and track every citizen. NPfIT and the associated projects immediately attracted objections from civil liberty groups. NPfIT attracted objections from medical professionals who voiced serious concerns about the likely reliability and the basic clinical necessity for such a system. Each milestone has run into serious problems and delays with costs rising rapidly. The project has suffered further reductions of remaining credibility after a series of massive data losses from Government data systems that has exposed a serious lack of even the most basic security to protect personal data. Now the NPfIT may have run into a fatal problem. The board of an NHS Trust has learned of a “significant” risk of Fujitsu ending its BG£900 million contract to supply and implement systems. If Fujitsu pulls out, at best, very considerable delays and cost escalation will result. At worst, the NHS may not find a suitable replacement contractor and doctors may resist even more strongly the scheme. “Bottler” Brown has announced his complete confidence in Welsh Minister Peter Hain, who also moonlights as the Work and Pensions Minister, because he is confident that Hain is totally incompetent – curious defence for a Minister about to join the band of Blair Brown regime functionaries who are being investigated by police, the Electoral Commission and the public standards regulator. 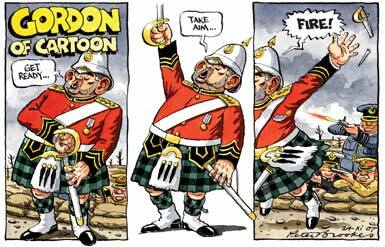 It seems that the Scottish Prime Minister non-elect demands incompetence from his henchmen. Just to prove him right, Hains part time Ministry at Work and Pensions loses yet another batch of mailbags containing the very personal details of another batch of citizens. It seems that every few weeks 18 or so mail bags are dumped on a roundabout but that doesn’t seem to worry Hain or Brown.